What if every time you walked into a retail store you were handed a mini computer so you could scan your must haves and find out all sorts of fun facts? The Lambent technology might just make it a reality. 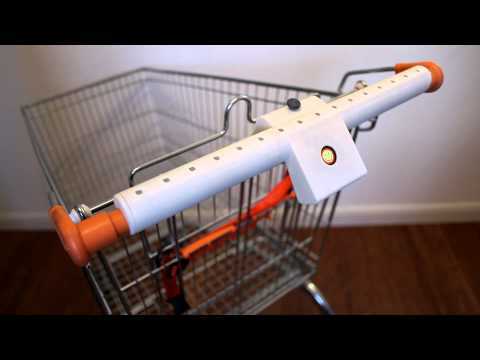 Originally designed for grocery shopping, the new Lambent Shopping technology is a mini computer that clips onto your shopping cart so that you can scan your groceries and track food miles. If that technology were applied to retail, it would change the way you shop. Imagine – you could go into a store, scout out a few killer pieces and scan them to find out all sorts of information. You could find out which pieces are locally made, where the suppliers are based, which brands believe in sustainable fashion and anything else you’d like to know before swiping your visa. Wouldn’t it be great to have that type of information at your fingertips? Something like this would completely change the retail landscape and we’re all for it.